The Texas Optometry Board licenses doctors of optometry. Licensees must have graduated from an approved college of optometry (in the United States or Canada), pass the appropriate examinations, and meet the other requirements of the Texas Optometry Act (link to requirements). 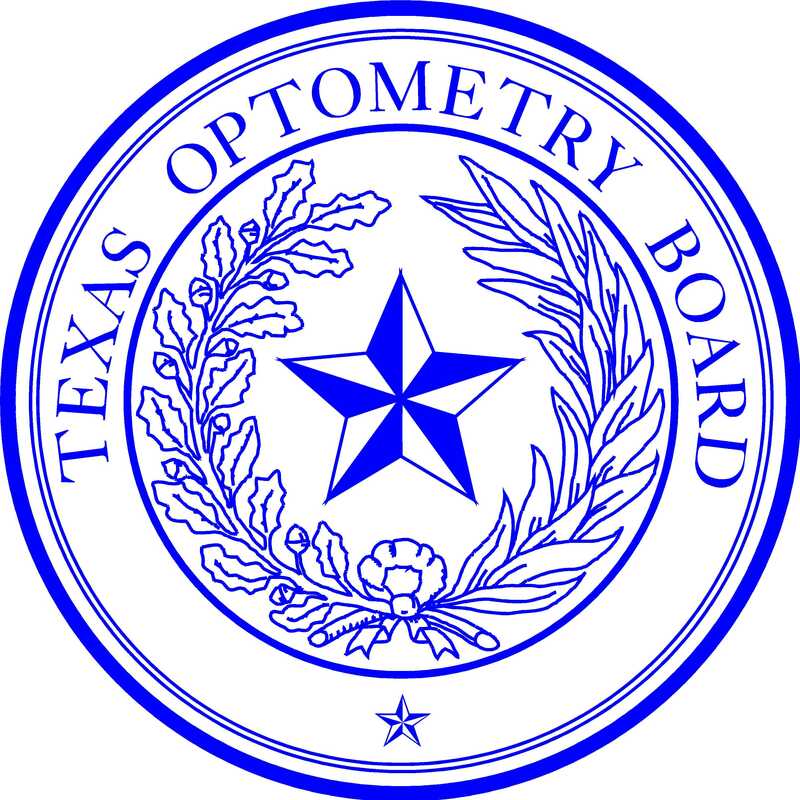 The Texas Optometry Board verifies completion of educational requirements for licensure by obtaining original transcripts (with an official seal and/or signature) of optometry and pre-optometry college education. The Board does not require sealed transcripts sent directly from the school. Transcripts are required for all applicants (except Military Limited Volunteer applicants). The Board requires official verification of license from every state in which an applicant is licensed. Specialty or board certifications, post graduate training/residency, malpractice insurance. All licenses issued for 2019 expire on January 1, 2020. The law does not provide for a grace period. Continuing education requirements may be found at this link. The Board provides license verifications in three formats: telephone, website, and Official Written Verification. Only an Official Written Verification is issued under the Board Seal. The Board may discipline an optometrist who violates the Texas Optometry Act. A license verification search will display disciplinary action. A current list of licenses disciplined is on the website. You may also telephone the Board at 512-305-8500. An optometrist with past disciplinary action may currently be able to practice without restrictions. Disciplinary action for each year is also reported in the annual Board Newsletter. If a licensee has been disciplined, the license verification search will display disciplinary action which may be downloaded. Written official verifications under the seal of the Board are also available upon a written request for a fee of $15.00. To order the official verifications under the seal of the Board, submit a written request with payment by check (payable to “Texas Optometry Board”). Source information for license verifications is updated every 24 hours. The source information for license verifications is stored in a database. The Board contracts with professional database managers to operate the database, and best practices are employed to maintain integrity of the information and database. This information is used to provide verifications on the telephone, on the website, and in written documents under the seal of the Board. No warranty, express or implied, is made by the Board or the State of Texas regarding the accuracy, completeness, reliability or fitness for use of the information provided. Posted By: Chris Kloeris, Executive Director, Texas Optometry Board.